We provide a range of advice and support services in Lambeth available via telephone, online and face-to-face. We aim to support you as appropriate to your needs. You may be looking for information to solve your query. For example you may be wanting to report repairs to your landlord or complain about an item you purchased. We have sample letters for you to use. If your situation is more complicated, we’ll complete an assessment (by phone, email, webchat or face-to-face) with suggested actions to resolve. For more complex situations/needs we’ll book an appointment with one of our trained advisers. For those requiring legal assessment in areas such as housing, employment and family matters, we can offer a one-off, 30 minute assessment with a pro-bono legal adviser. 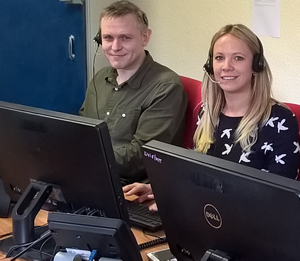 Our telephone lines are open from 10am to 4pm Monday to Friday, offering an assessment of your problem and suggestions for the best next steps for you. Call us 0800 254 0298. To send us an email, please complete this form. If this is sent outside 10.00am-4.00pm Monday to Friday, we will look at it the next working day. Our Streatham office is open 10.00am-4.00pm Monday to Friday but we offer different types of help on different days. You can attend our Monday and Thursday drop in centres without an appointment. If you can’t make an appointment, let us know at appointments@caml.org.uk so we can offer it to someone else. And please remember…we don’t make the law, we just advise on it so we can’t guarantee giving you an answer that you’ll like. Good advice isn’t always good news.